2018 in app development land was filled with updates, new Alexa skills, and a couple of new apps. I finished and released three new apps in 2018, Jumbo Egg Hunt 3, Epic Rap Ad-Libs Soundboard & Quiz of the Christian Bible. 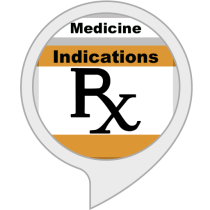 I also released several Alexa Skills, but we’ll go into those later in this post. My first software release of 2018 was Jumbo Egg Hunt 3. I knew I wanted to make a follow up to JEH 2 that was even better, and the fact that my JEH games get steady downloads especially around Easter further justified my cause of making JEH 3. I decided to continue the main successful formula of my JEH games with the goal of finding 12 eggs, clue feature, and timer settings. Reusing those game functioning aspects saved a lot of time and I was able to concentrate more on the scenery images, egg location placements and more. I first started working on images for the game in a more serious manor while I was in Atlanta a couple of years ago and noticed some nice pumpkin assortments at grocery stores. After that I started to envision different types of scenes I wanted in JEH 3 more while walking around at various parks and so fourth. There’s a lot of great parks, gardens, grocery stores, and more in Atlanta so I was surrounded by an increase of visual motivation for this game. With those creative thoughts in mind I started taking more pictures and thinking about how I wanted the final scenes to look while doing so. Getting ready to hide some eggs for a scene in Jumbo Egg Hunt 3. For the background images in Jumbo Egg Hunt 3 I did some heavy altering and editing to pictures that I took and made sure the end result of each matched the overall aesthetic that I was going for. I went with a more detailed cartoon like aesthetic with the first JEH, then for the second JEH I went with a more photorealistic approach. So for the third JEH I decided to blend the two previous approaches by ramping up the detail in the pictures I took. Then I converted them to convey an animated look that took away some detail but not too much. After experimenting with different styles I landed on a few types of conversions that kept colors vibrant in the scenes, made some of the outlines bolder, and broadened the overall scenes to look fuller with a focus on the main colors and objects within it. After finishing most of the images I started working on and integrating buttons, text and other User Interface(UI) factors. Throughout working on UI graphics I also worked on egg placement locations. Deciding where to place the hidden eggs is one of the most time consuming and important aspects of these games. This is the first Jumbo Egg Hunt with three difficulty settings so that was a new challenge. I decided to have three difficulty settings to widen the potential audience and increase replayability. Having an easy mode makes the app more inviting to toddlers and I even tested it with my own youngest son who is in that age range. He played on medium as well sometimes, but he found the eggs quicker on easy and he enjoyed it more overall because of the increase of gratification he received from being able to find more eggs and finish levels himself. My other son who’s a few years older also tested the game mainly on the medium levels, and it provided a good spread of challenge and ease throughout the levels. Some eggs were easy for him to find and some required him to focus more into the scenes. I accredited both of my sons as testers in the About/Credits section of the app which I thought was kind of nerdy but awesome, and my oldest thought it was cool too. They were both really helpful in finding bugs and justifying the level of difficulty I had in place for the Easy & Medium modes. As it got closer to March I increased the amount of time I spent on finishing this app because I definitely wanted it to be released by Easter. As I ramped up time spent on the app I mainly worked on finishing the main menu, stage complete graphics and bug fixes. JEH 3 turned out even better than I initially thought it would. I was very happy with how the app continued to feel, play and look better than the previous JEH games I made. This is definitely my favorite of the JEH games, and also one of my overall favorite apps that I’ve ever made. Soon after I finished Jumbo Egg Hunt 3 I began to work on Quiz of the Christian Bible. First I arranged which overall categories I wanted to incorporate in the app and after some editing I landed on which exact categories to have included. After that I dove more in the bible itself to formulate questions and answers. I also used different biblical resources to find the locations in the bible where specific events and people were mentioned so that I could create more questions and go into more detail. I started making questions for the People category, then Events, and then Places, but I decided to combine Events & Places to avoid repetition since there was an increasing overlap of some questions while working on each category. I then worked on the Which Book section which was more broad and didn’t take up as much time as the other categories. I made sure to first incorporate the more well known popular verses and then went into lesser known obscure verses. I followed the same structure with the Fill in the Blank categories, but those categories took longer to make because I had to decide which words to remove for the answers. Then I also had to make up wrong answers that were mostly a mix of somewhat convincing possible answers, but also have some obviously wrong answers as well. However, I also tried to make sure not to have any trick answers that were too closely related to the real answers. During work on these sections I also worked on the All About Jesus category. All of my quiz apps take a while to make because of the massive amounts of data within them, but the data gathering & organizing factor with this app took way longer than I expected considering there was only one main resource. It was definitely worth the time and energy I put in it though. As for the design, that portion didn’t take too long. I wanted to make sure it was simplistic, user friendly, and neat so there were only a few modifications I made once I decided on the overall look. After making buttons, I worked on the layout for the main menu and then the quiz portion, and quiz complete scene. I liked how the layout of the quiz portion looked in my previous quiz apps so I kept that mostly the same besides the cross & sun graphic at the top and actual buttons themselves and a few other minor placements. After taking a break(I go into detail on this below) from development on this app I returned back to it with increased motivation. I still had a lot of work to do, but I dove back into gathering, organizing, and completing information with a new esteem. Even after finishing around the amount of questions I wanted for each category I often went back and added more. Eventually I had to tell myself that I was finished with each category so I could move on to finishing the app. After finishing and applying the graphics and text I went on to testing as per usual. Work on the app icon went smoothly because I knew I wanted it to contain a cross and a question mark to visually explain the app itself. 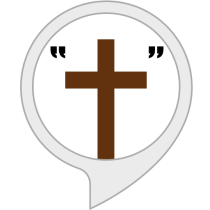 I took the same color code of the cross I made for the “Jesus Said” Alexa Skill I made, and then finished up the app icon with other bold colors that I thought went well with it. During testing I didn’t find many bugs so that process went by quickly and smoothly. While implementing ads I choose some restrictions to make sure certain types of ads weren’t shown since I generally thought the main audience of this app may be disgusted by certain advertisements. After completing the app and publishing it I felt a great sense of relief and exhilaration. This app took up the bulk of my time in 2018 app development land so completing it within the same year felt special and made my 2018 feel more complete in regards to my app creation. I was very satisfied with the outcome of this app. It felt on par with my other quiz apps in regards to the sleek stylized minimalistic look of it and massive amount of data within it too. My quiz apps are some of my favorite apps because of those two qualities and also mainly because of how useful they are in regards to being educational. During the middle of working on Quiz of the Christian Bible I became a bit frustrated because I wasn’t making enough progress considering the amount of time I’d put into working on it. I worked on and finished various Alexa Skills throughout working on the app but I felt like I need to take a longer break. I knew I wanted to finish the app and that I was eventually going to, but I compared my progress to my other quiz apps and I wasn’t as far along with this one as I’d hoped. So I figured taking a break would boost my morale and energy once I started back working on it. Taking a break from this app didn’t mean I was taking a break from app development in general though. At this time I decided to work on a new app. I wanted to make something somewhat quick, but also something novel that would get a lot of downloads. Earlier that year I also noticed that rap music has a lot of ad-libs in it and those ad-libs often add to the hype of the song overall. I personally mostly listen to indie & alternative rock music, but there are a few rappers that I listen to occasionally but I do know that the genre in general is very popular and followed by many. I also know that a lot of the ad-libs I hear are catchy and can add a new level of entertainment to a song. So I decided to make the Epic Rap Ad-libs Soundboards app so that people could carry about the hype that song rap songs garner in the palm of their hand, in the form of a soundboard. As with all of my apps, before I start seriously creating an app I search the app stores to make sure there’s nothing too similar. That way I can see how unique something I’m making is. Regardless of if the general idea has been done before I always strive to make my apps different, useful, and unique in their own way. For this app I scoured different popular rap songs, articles, and videos for well known ad-libs and made a list of which ones I wanted to be in the app. Then after finalizing the list somewhat I went and started editing audio in Garageband to make it suitable formats for app integrating. For the design on this app I went with something quick and neat. 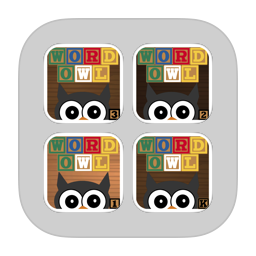 I spent the most design time for this app on the app icon. For my soundboard apps I usually have an image of a speaker and the something related to theme of the soundboard, like the soccer ball for Ultra Soccer Match Soundboard or the shield & swords for Master Fantasy RPG Soundboard. However for this app I couldn’t create something coming out of the speaker that looks good and conveys what the app is about like my other soundboard apps. I initially put a microphone coming out of a speaker, but it continued to look odd no matter how I arranged it. So eventually I decided to drop the speaker and have just the microphone and then work around it, and it turned out great. I like to create sleek, direct, and minimalistic app icons that will immediately show people what the app is generally about. So once I achieved those things with this icon I finalized it. As for the “interior” design of my soundboards I usually influence the design around the general theme of the app. Overall I make sure that the design itself is neat, user friendly, and somewhat minimalistic. After a month or so I finished this app, released it, and went back to work on my Quiz of the Christian Bible app. This soundboard is definitely a simple novelty app, however, its unique and it continues to achieve respectable download numbers so it was a success. In 2018 I also made a push to create more Alexa skills. I decided to make a few Alexa skills that could be accomplices to my apps, which could also be used to promote my apps to more possible users. 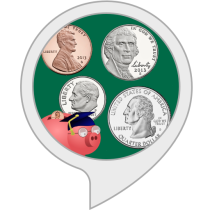 For example, one of my apps is Quiz of Finance & Investing, so I decided to make an Alexa skill called Quiz of Finance & Investing – Definitions. Instead of making a skill that encompassed all of the features of the app I decided to concentrate on one section of it so that the skill would be compact and direct. My goal for Alexa skills isn’t to make a heavy time consuming skill with a lot of sections but instead make them quick, relevant, & efficient. Besides the finance skill I also worked on and finished a few others as well, including two medicine quiz skills(Quiz of Medicine Brand & Generics & Quiz of Medicine Indications) which are kind of like companions to my Quiz of Medicine and RX Quiz of Pharmacy apps. While working on the Quiz of the Christian Bible app I decided to make an Alexa skill with some of the data that I complied for the app. I figured it would be an easy transition to incorporate some of it into skill. Instead of making another quiz skill I decided to make a skill that spoke verses from the Bible that were believed to be stated by Jesus, also known as the red text. I decided to do this after I finished the Fill in the Blank with Jesus portion of the app so I already had a long list of “red text” bible verses that I could easily use as a reference to create a new spreadsheet for the Alexa skill. Amazon has been very developer friendly with promotions for creating Alexa Skills so I ended up making even more skills in 2018 than I thought I would. Besides the skills mentioned already I also ended up making a Chattanooga History & Bioshock Quotes. Due in part to promotions Amazon had created for Alexa skill developers like myself, but also for the challenge and to put something else new and practical on the Alexa skill store. Some of the promotions were broad and some of them were targeted to certain developers like myself which was kind of flattering. During the year Amazon sent me free hoodies, Echo Dots, an echo Show, backpack and more. The Echo Show is a neat device but I ended up giving it away because I mainly use and like the compactness of the Echo Dots when I want to use this type of device. However, I am grateful to receive it as well as the other goodies. Testing my Quiz of Finance & Investing Definitions Alexa Skill. A couple more things Amazon sent me for creating Alexa skills. In 2017 I released Quiz of Finance & Investing and I was very satisfied with the app itself, but I continued in 2018 to be disappointed with the low number of downloads though. So I changed it from a .99 cent app to a free app(with ads). Nevertheless, my disappointment soon faded as downloads for the app increased drastically. People really do like free stuff. Downloads for this app continued to increase throughout the rest of 2018 which further made me realize that I should have initially released it for free, but I also didn’t wait too long after its initial release to make this change so that was also a good decision.